Sebastian Herkner with Design Pataki Editor, Esha Gupta. The design scene’s rising star, Sebastian Herkner has unremittingly focused on creating designs that fuse tradition with creativity, and new technology with long-established crafts. At 37, the German designer is embarking on an ever-growing number of collaborations with international design houses – with no less than 21 projects in the pipeline during 2018 for brands like Moroso, Dedon, Thonet and Lintello. Herkner boasts an unconditional love for traditional craftsmanship, a flair for colour, an eagerness to embrace everything global and to draw on other cultures, an appetite for traditional materials like ceramics, wood, marble and leather, a desire to encompass sustainability, a keen eye for detail, a sense of respect for the time it takes to create a truly stunning piece. Drawing from the Indian design tradition, his UNAM lounge chair was influenced by Pierre Jeanneret’s outdoor furniture in Chandigarh, India. This powerhouse of talent was named Designer of the Year at one of Paris’ most anticipated design shows, Maison et Objet in January. His installation at the show focused on the importance of crafts and technology, colour and material and an understanding of sustainability and quality. 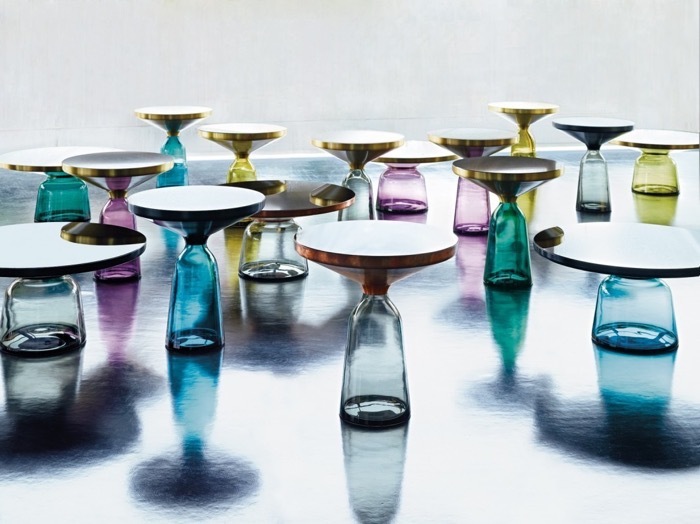 Bell Table By Sebastian Herkner. Design Pataki: How does it feel to be named Designer of the Year? Sebastian Herkner: It’s amazing to be designer of the year here at Maison et Objet here in Paris. It’s a huge honour not only for me but also for my team and all the companies I’ve worked with over the last 10 years. I think it’s a great opportunity to exhibit my products and to showcase my design philosophy. Design Pataki: Your design journey has seen an ever-growing number of collaborations with international brands. What has been your most memorable design collaboration to date? SH: Actually, I’m very happy with all of them cause if I start a design collaboration, I really have to understand the people I work with and what their vision is. I want to meet the people behind the scenes, and this is very important, I think. Design is something very emotional and sometimes it takes a couple of years to develop a product, so you need to have a good relationship. One of my first products was the Bell Table 10 years ago – I designed it in 2009 and presented it in Milan at the young designer platform, Salon Satellite. I was interested in working with traditional crafts because when I started out, it was all about new technologies and new materials. However, I was endlessly fascinated by the way people work with their hands and I wanted to use those skills, so I designed the Bell Table. It’s a combination of glass and brass – the table has a glass bottom and a metal top, and at the time I presented it the people loved it, but it was impossible for me to find someone who wanted to put into production. I looked for three years and then in 2011, ClassiCon asked me if they could produce it. In 2012, we presented it at the Cologne Furniture Show in two sizes and different colours and that was where it all began. DP: So it took you three years to find someone to produce it? SH: Yes. I asked companies if they would like to produce it but they said no. “Brass and glass are not interesting, they’re old fashioned”, they said. But now, it’s all about brass and glass! It’s a big trend. The people want reality, honest materials and crafts because they have a very special and certain quality – and they tell a story of the people behind. 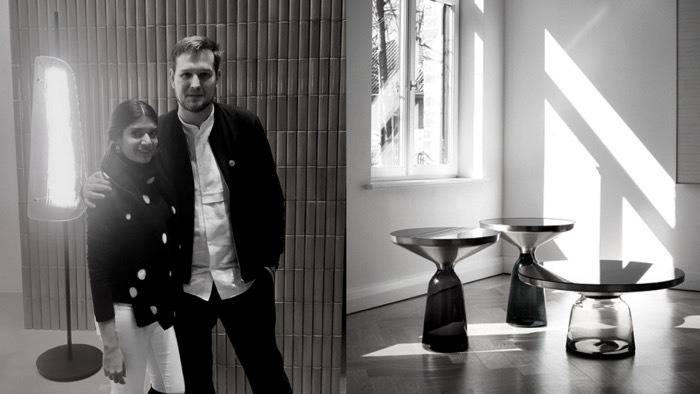 DP: The Bell Tables are iconic – what inspired you to create them? SH: I was really inspired by the material and the idea to take the way a side table looks and turn it upside down. Normally there’s a metal structure at the bottom and a glass plate on top – I have the base made in glass and the metal on top. It was very difficult to find a glass blower who was able to blow this big piece in a certain green colour, and then I found a craftsman in Bavaria next to the Czech Republic, that’s the area for glass. This company is 450 years old, and it’s been in the same family for 15 generations. When I met them 10 years ago they were really struggling because there was not a lot to do with glass because it was not trendy at the time. But since 2012 when ClassiCon showed showcased the table at the fair, this company has been manufacturing a lot of Bell Tables! This is social sustainability, you know? They were the ones who did the prototype, now they’re doing serial production – several hundred every year! They have new glass blowers, young people working for them, and I think that’s really amazing and it’s something I’m immensely proud of. DP: Wow, and now every piece is made by them? SH: Every piece is done by hand in a wooden mould – very traditional like it was 450 years ago, and this gives it an attitude, a certain story to the product. There might be the odd air bubble in the glass but the imperfections show the beauty of crafted things. DP: So do you think that you would also tell other designers that if they do a prototype with a particular craftsman, to let them make the rest of the pieces instead of mass manufacturing? SH: Yes! I’m very happy that my products are still produced there. Additionally, I think in India, you have amazing crafts – you have an old history, a tradition really, for rock sculpting, for brass work, for detailing, and I think that’s fascinating. I love to travel around the world and discover these special things because big cities nowadays look more or less the same. DP: How do you incorporate sustainability into your design sensibilities? SH: Sustainability for me is very important. As a designer, I have a huge responsibility for the company but also for the people. I have to take into consideration every single day, the kind of materials we want to use. How can we recycle them? Where are they from? What kind of resources are they? Because marble is somehow ending. Designers have to take these things into account. 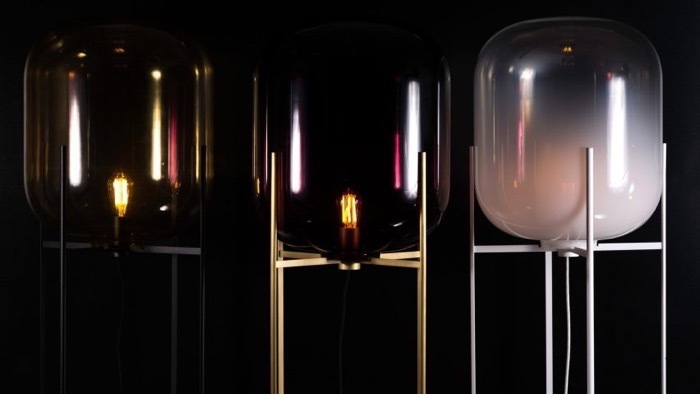 The Oda Lights by Sebastian Herkner. DP: Some of your pieces are like the Bell Table and Oda Light are very unique – and sadly this enables knockoffs. What are your thoughts on combating something like this? SH: Yeah, the Chinese culture says that copies are an honour – but I don’t really see it as an honour, because I invest a lot of time, money, and engineering costs into a product. To create something unique takes a lot of months, and sometimes even years. The DEDON chair took three years in engineering and developing, to have the right fibres, the right materials and the right detail. A lot of people were involved, and so to just copy it is really a shame. SH: And the quality is different. If someone buys a copy and it breaks, people say “Oh the table is nothing” but come on, it was a fake. DP: So how does one combat it? What do you do? SH: I think we have to talk about it. It’s all about the conversation. We have to teach people, we have to inform them. People say you can’t protect a design. Well, why? You have to be the first, you have to do something different. That’s why I always try to not follow trends but to swim against the river, to find a new language – a new design philosophy. 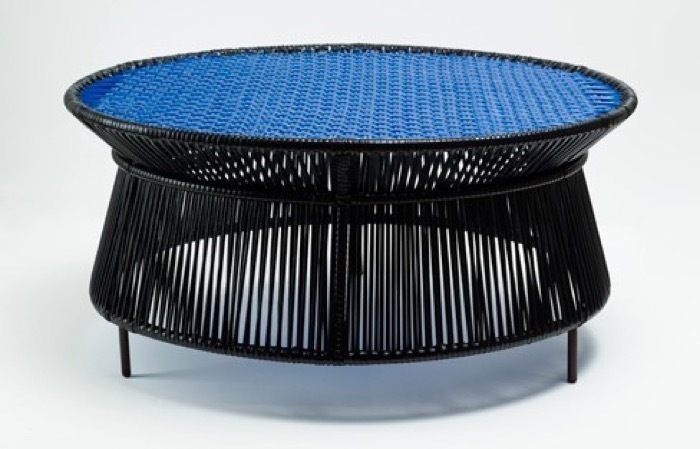 Outdoor Collection for Ames Sala. DP: You’ve been known to embrace everything global, and to draw from different cultures. What culture has inspired you most? SH: All of them are so different. I’m doing a project in Colombia for Ames, and this is a country which is not really connected to design in a very commercial sense. So this is a new experiment, really – to use crafts there. And it’s a completely different culture, and I get so much power from the locals, just to be with them. Their hospitality is amazing. We cook together and share time together and learn so much about values! Sometimes in our Western civilisation, we disregard the importance of family, the importance of satisfaction and of being patience, because craft takes time. Nowadays, we can buy everything quickly on Amazon and Alibaba, and if we don’t like it we send it back. We don’t have respect for the process and we have to be so much more responsible about the way we consume products. DP: And my last question – when do we see you next in India? SH: I hope to have the opportunity to go to India for the second, third, and even fourth time! I’ve been to Bangalore, which was amazing. The people, the colours, the food and the whole spirit is beautiful. I like to discover a country with all my senses, and design is also to use all the senses, so I hope to have the opportunity soon to come to visit India soon.